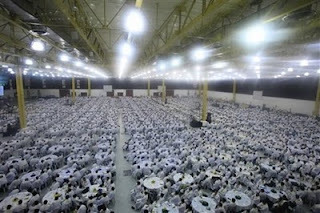 In the Philippines last week, 5,500 of the country's priests gathered for a retreat to observe the year of the priest. The retreat was led by Fr. Rainiero Cantalamessa. This was just about all of the priests in the country. All I can say is, Wow!